May is for Mothers! And Hummingbirds! 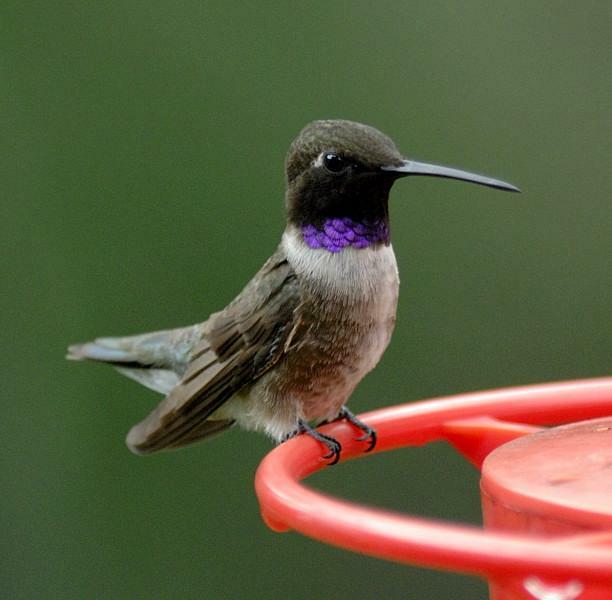 Black-chinned hummingbirds are beginning to arrive in the area. They are named for the dark chin and throat of the male. When the light hits just right, the male shows a band of iridescent purple below the chin. Black-chinned is the only hummingbird to nest in our area, with the exception of Calliope hummingbird in nearby mountains. As with many hummingbird species, the female Black-chinned is dull metallic green on the back and flanks and grayish-white below. It is really difficult to pin down a female identification to a particular species as most female hummingbirds look very similar. During courtship the male performs a "pendulum" display, flying back and forth in a wide "U" pattern, and makes whirring sounds on each dive. It is quite impressive to witness. The Black-chin male may mate with more than one female, then he goes merrily on his way while the female builds a nest and has full responsibility for feeding the nestlings. She may raise more than one brood per season. The nest is an open cup constructed of soft plant material and spider webs. The outside is often camouflaged with bits of lichen or dead leaves. There are usually two eggs the size of coffee beans. After the eggs hatch, the spider web construction allows for the nest to stretch to accommodate the growing babies. Black-chins are habitat and nesting generalists-they can be found from deserts to mountains, from natural habitats to very urbanized areas. I know of a successful nest this year that was on top of a wind chime at a person's front door! Black-chinned (and most other hummingbirds) can eat three times their weight in nectar in a day. Small insects and spiders also make up a substantial part of their diet. By planting hummingbird-friendly plants and putting out hummingbird feeders, you can usually attract not only Black-chins but Rufous and Anna's during spring and fall migration. Use prepackaged nectar or use regular sugar and water in a 1 (sugar) to 4 (water) ratio. Do not use dyes, honey, raw sugar or brown sugar. Regular refined sugar most closely imitates flower nectar. It's important, also, to change the nectar every 4-5 days to prevent mold growth. For more information on Black-chinned hummingbirds, visit one of the three Moana Nursery store locations: 1100 W. Moana Ln. & 11301 S. Virginia St., Reno and 7644 Pyramid Hwy., Sparks. 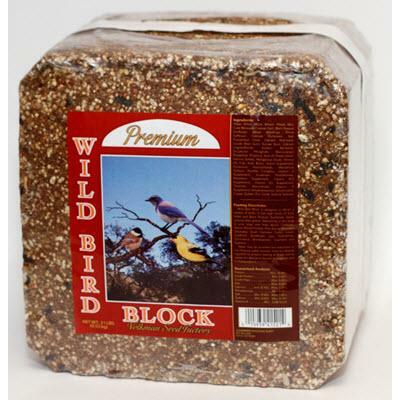 Bird moms come in all shapes, sizes and colors; stop by the store for the best foods and feeders for this season. * Hummingbirds arrive. Be sure to have their feeders up early in the month. * Chokecherry, Serviceberry, Cottonwood are in bloom early in the month. * Peak of warbler migration happens early in month. * Hermit Thrush, Veerys, Rose-breasted and Black-headed Grosbeaks return. * Peak of bird courtship. Listen for the morning chorus. * Nesting materials are being collected. 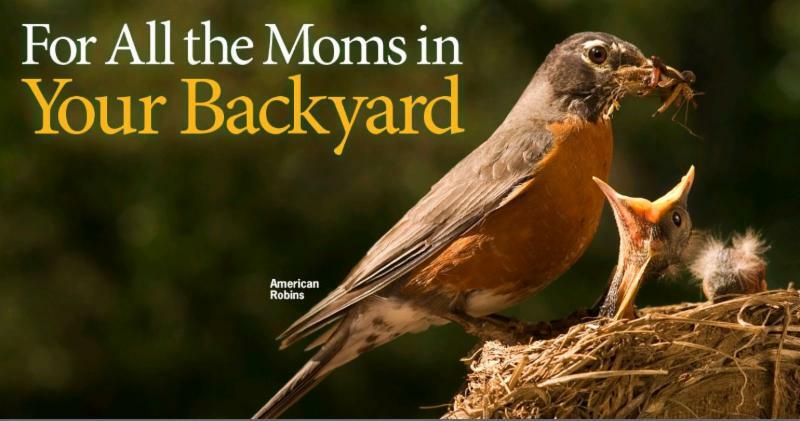 * Orioles return and begin nesting. Be sure to have their feeders, nectar, fruit and jelly out early. * Fawns continue to be born (5/15 - 6/15). * Beaver kits and skunk litters are born. * Mosquitoes can begin to be a problem. Refresh bird bath water often to deter them from breeding. * Woodhouse's, Western and Great Plains Toads start singing. 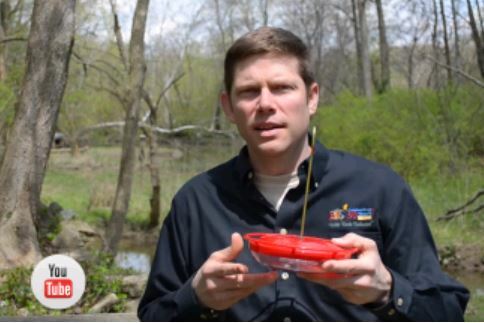 * Be on the lookout for tadpoles in ponds. * Buffaloberry, Wild Rose, Snowberry, Honeysuckle are in bloom late in the month. * Eta Aquarids meteor shower is early-May. * International Migratory Bird Day is mid-May.